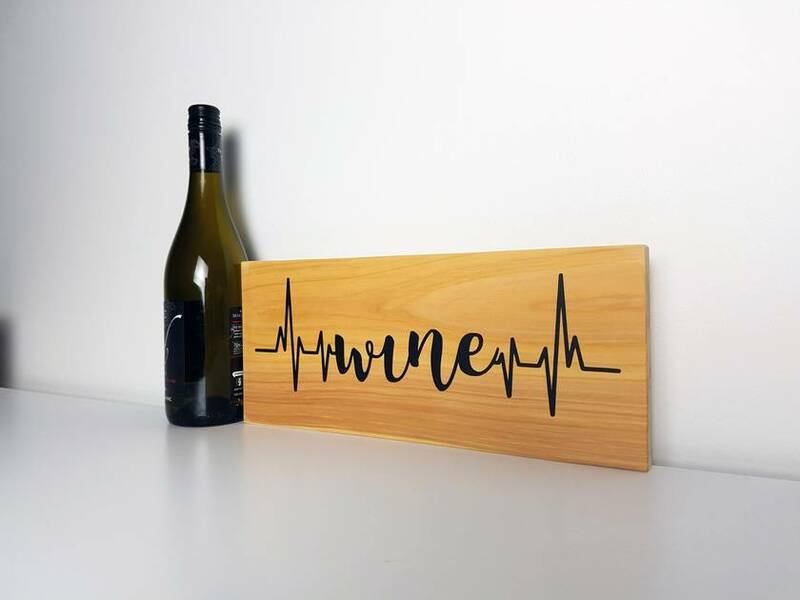 A wooden macrocarpa sign that has the word wine as a heartbeat. 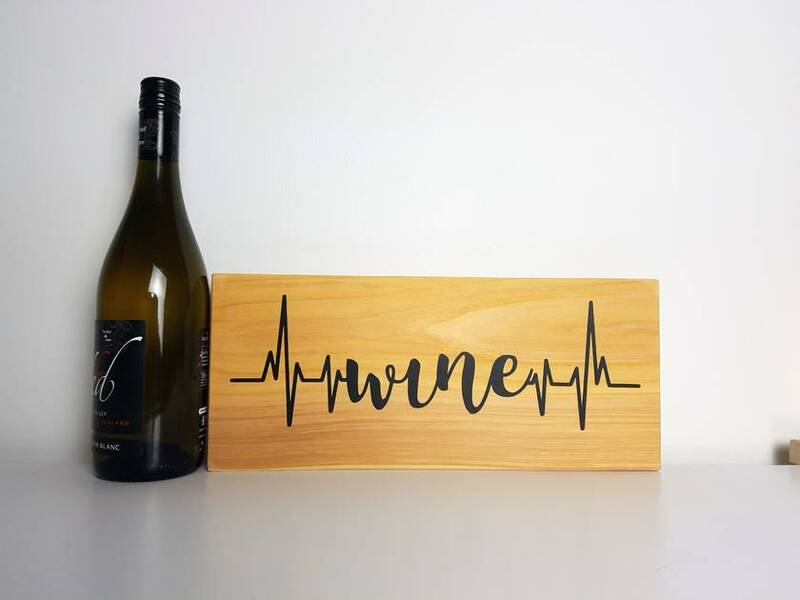 Get it as the addition to your wine rack or as a great gift for any wine lover. Includes saw-tooth hanger on back for easy wall mounting. We recommend a 3m hook.